Elsa is crowned as the Queen of Arendelle. But we all know she is also a queen of fashion who could handle both nice and evil. 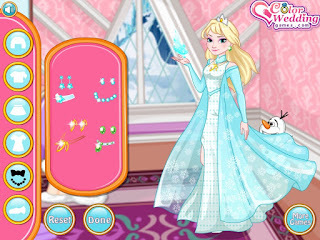 Check out Elsa's secret wardrobes, yes, she could dress up like an angel and yet she could turn into an evil queen, too! It's even fun to mix and match the two differnet types of outfits.